It’s been a long time coming, but Oshawa’s own Justin Landry will be returning to the stage in his hometown next month. Landry will host “What’s My Line?” at the Regent Theatre on Sunday, Sept. 17, while also serving as the producer of the show. Since he and his family returned to Oshawa a few years ago, Landry says he has been asked when he was going to do a show here. “What’s My Line?” will feature an afternoon of improv comedy, which Landry says generally makes for a nicer show than traditional stand up comedy. Following in the model of “Who’s Line Is It Anyway”, Landry says the matinee will feature some crowd participation. 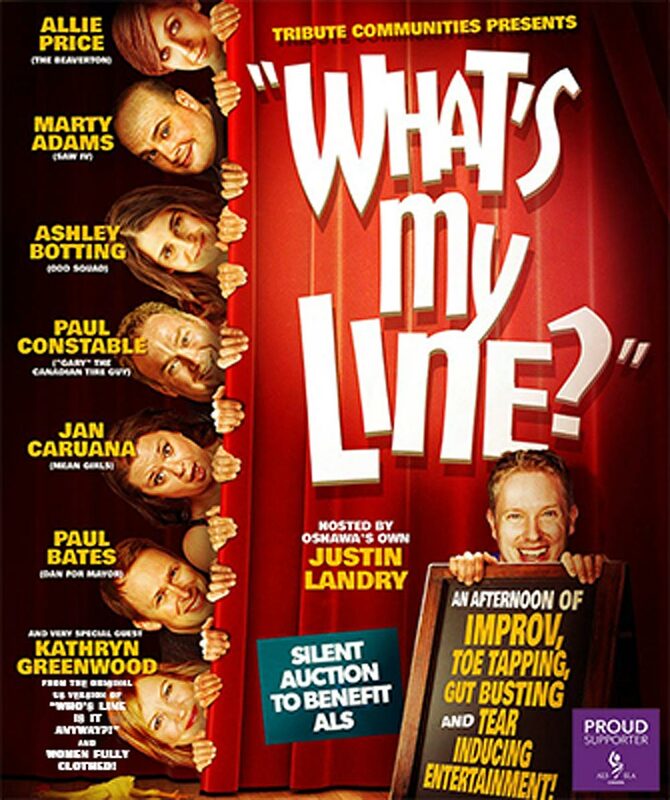 The cast of “What’s My Line?” features a number of alumni from Toronto’s Second City Comedy, including Allie Price (The Beaverton), Marty Adams (Saw IV), Ashley Botting (Odd Squad), Jan Caruana (Mean Girls), Paul Bates (Dan For Mayor), Paul Constable (Gary, The Canadian Tire Guy) and special guest Kathryn Greenwood of the U.S. version of “Who’s Line Is It Anyway”. “The cast I have assembled to perform are very generous and talented people. It will be amazing,” Landry says, adding that audience members can also expect a few surprise guests as well. There will also be a 50/50 draw and silent auction in support of ALS Canada. Tickets for the show are $39 and can be purchased at regenttheatre.ca, or the box office at 50 King St. E. Showtime is 2 p.m. on Sept. 17. Although he described “What’s My Line?” as a ‘one shot deal’, Landry says he would consider bringing the show back in the future if it is successful.